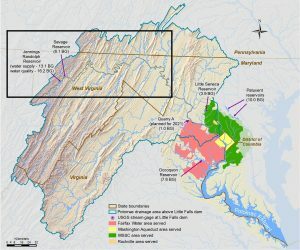 The North Branch Potomac River begins in the river’s headwaters in West Virginia at Fairfax Stone, only a few miles from the Maryland state line. Delineating the border between Maryland and West Virginia, it meets the South Branch Potomac near Oldtown, Md., where the two branches converge into the Potomac River. Jennings Randolph Reservoir and Savage River Reservoir are located within the North Branch watershed. Click here for the U.S. Army Corps of Engineers Recreational Release Schedule. Developed through a 1993 agreement by Governor William Donald Schaefer of Maryland, Governor Gaston C. Caperton of West Virginia, and Chairperson Phyllis M. Cole of the Interstate Commission on the Potomac river Basin (ICPRB), the task force formed for the improvement of water quality and recreational opportunities on the North Branch of the Potomac River. 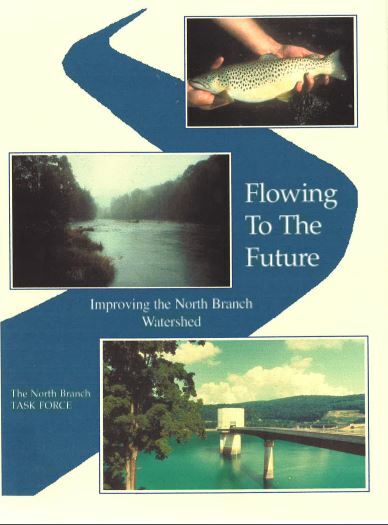 In 1995, the Task Force published a plan for improving the North Branch Potomac River watershed titled Flowing to the Future. An updated plan was published in 1999. 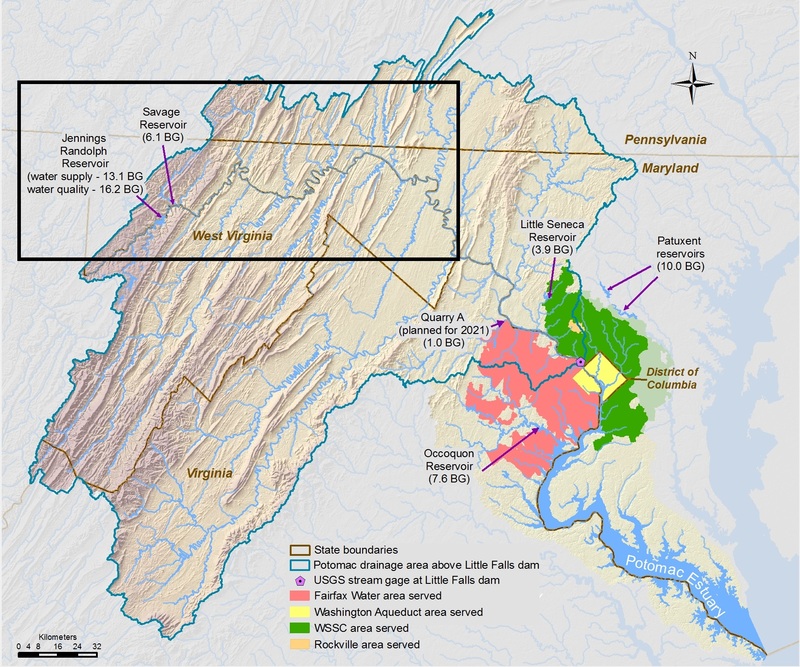 The North Branch Potomac River Advisory Committee was formed in 2005 by the agencies collectively responsible for the operations and management of the Jennings Randolph and Savage River Dams as well as the lands surrounding those reservoirs. A letter from the National Park Service to ICPRB spells out the initial goals and recommendations of the NBPAC. The Committee meets at least semi-annually (usually in summer and winter) and as-needed to review operations and identify areas for improved management of the multi-purpose project. As a neutral, non-regulatory party, a staff member of the Interstate Commission on the Potomac River Basin organizes and chairs meetings of the Committee. ICPRB facilitated a series of stakeholder meetings in 2007 and 2008 to develop a shared vision for the watershed. Read about the North Branch Shared Vision Plan and the initial efforts to inform decision making in the region through consensus-building and collaboration.